Awesome lighting to really make a fantastic party or special event, and give your guests a truly memorable experience. Our lights are of the highest professional quality. 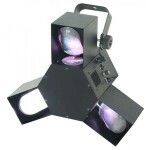 This multi-purpose special effects package comes with 4 effect lights - which have sound activated programs that dance to the beat of the music and create an exciting party atmosphere - plus 1 lighting stand, for great light dispersion. Our smoke machine also adds to the effect. The water based liquid will not set off smoke detectors. We also add "free of charge" a strawberry scent to give the room a nice fragrance. You won't be disappointed with this great package. The Circus is our most popular light with its ever changing LED effect light and razor sharp beams. It now comes with a ring of white LEDs that have a high impact strobe effect, adding even more effects to this amazing light. Light punches through the air as it projects from pod to pod with automated programs, featuring maximum colour options including red, green, blue, white and amber LEDs. 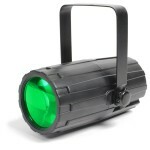 Triple Flex DJ disco light uses the latest LED technology and features 72 LED lights split between the 3 sides. The unit also feature 3 scanner motors that dance the beams around the room for an amazing party effect. Also has a strobe effect. The Tripleflex can be run under Sound Activated or automatic modes. The Moonflower is a very popular effect light that has bright and colourful LED lights. Using 60 bright LEDs in red, green, blue, white and amber this light creates colourful patterns and can be set to auto or sound activated mode. A must have for your next party. 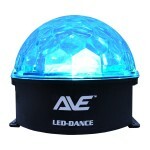 The LED-Dance is a little light with a big performance. The colour star ball effect light creates super bright coloured beams in Red, Green & Blue that dance and move around the room. Easy plug and play use, perfect for your next party or event. A solid and durable lighting stand with T-Bar perfect for all your lighting requirements.. Featuring a wide tripod base for stability and maximum height of 2.5m this stand can cater to every light package and enhance any event. This microphone is one of the latest high end professional dynamic microphones. Perfect for all entertainers and those important wedding and birthday speeches and announcements.The microphone features a cardioid style pick-up and a medium sized diaphragm for increased vocal response. 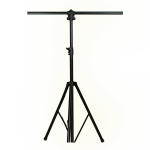 The stand is a professional and sturdy tri-pod microphone stand. 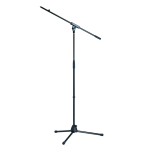 Featuring adjustable height (1 meter to 1.76m), adjustable boom angle, adjustable boom length, and foldable design for easy transport makes this the perfect mic stand for any performer or for formal speeches. A must for your next special event. The Hurricane is a Compact and lightweight fog machine that emits thick bursts of water-based fog to fill an event venue within minutes. Because it is water based, it will not set off smoke detectors in the room. It has an advanced fluid sensor, with automatic shut-off which protects the pump from overheating. With every hire, we add in free of charge, a Strawberry smoke scent to give your party room a nice fragrance.